Everyone wants a stress free holiday season, right? Follow these steps this week to make your holiday a peaceful and joyful one for you and your family. How has everyone been doing over the last couple of weeks? Don't forget you can report your progress on the weekly assignments or challenges on the page, in the comment section. I would love to know how it's going for you! 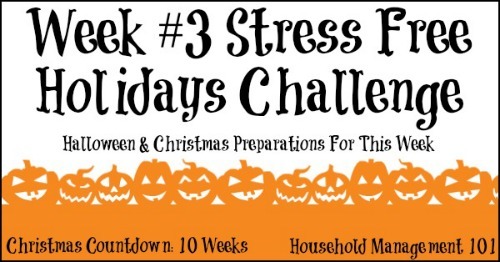 We are now into week three of this series about keeping your holidays stress free and things are now starting to heat up a bit for getting ready for Halloween. The other holidays we are preparing for, Thanksgiving and Christmas, still seem pretty far away thought don't they? Well they are, but that doesn't mean you can forget about them completely. Follow the simple steps I am laying out for this week to make sure you get everything done without rushing around, so you can truly have a stress free holiday. Again this week we are focusing on both Halloween and Christmas. We'll start planning for Thanksgiving after Halloween is over. 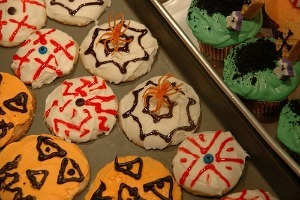 I really enjoy Halloween because it is fun to plan events to do with your family. Some of the favorites in our home include making caramel apples, carving a pumpkin, painting pumpkins, roasting pumpkin seeds, dressing up in costumes, drinking hot apple cider, and watching some kid friendly Halloween movies. There is no way we could do all this in one day, so we spread it out over a couple of weeks. To make it happen though we have to do some planning ahead, budget some times for the events, and make sure we have all the supplies needed at the right time. What are your family's Halloween traditions? What preparations and supplies do you need to make those traditions come alive for your family this year? Do you realistically have time to do them all? If not, which are your favorites, to make those the priority? If you are carving pumpkins make sure you take into account how quickly pumpkins begin to rot after they are carved, to make sure you don't do it too soon if you want to use the pumpkin on Halloween night. Also, begin to think of what food you want to serve, if any, as part of the annual after trick or treat event at your home. Make a list of all the food and non-food supplies you need, and buy them little by little if you can buy them early. For example, I like to serve a pretty big dinner before we go trick or treating, so the kids aren't too hungry for too much candy. (I like to serve this spaghetti and meatballs recipe). In addition, I also like to serve hot apple cider afterwards since they are generally cold when they come back inside. If some of the supplies and ingredients you need for your Halloween traditions won't spoil go ahead and start buying a few each time you are at the store, to help cushion your budget. Being prepared and not spending too much are both great ways to have a stress free holiday. For the last couple of weeks I have asked you to consider your Christmas list, including who you want to give gifts too, and ideas for those gifts. 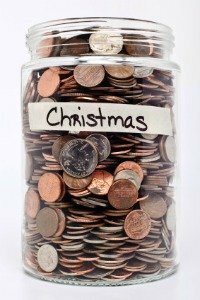 Now is the final week where we all finalize our lists, because you will set a Christmas budget. Ideally, you have been saving some money each month already for Christmas presents. If not, don't worry, just begin in January to put a little back each month to keep yourself from feeling stretched for cash during the holiday season for next year. For this year, just make sure your budget considers how much you can save in just a month or two. Be realistic for your budget, and don't spend too much. The point of the holidays is to be with family and friends, not to be the biggest spender. Spending too much is a sure way to feel stressed out. Wrapping supplies, such as paper, bows, gift bags, etc. Food, for parties, your own holiday celebrations, to give away as gifts, etc. Traveling expenses, such as gas, hotel rooms, etc. Really think ahead to what you plan to do this holiday season, so you are not caught by surprise with an expense that really should have been foreseeable. 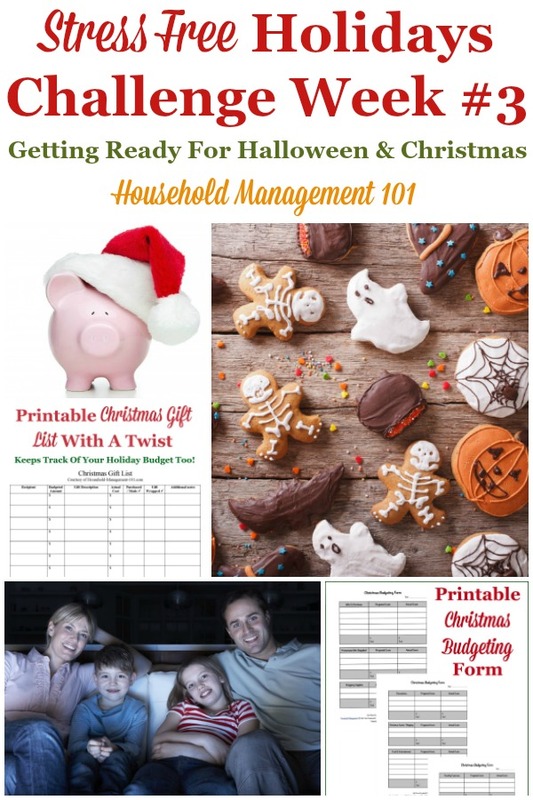 Once you have a realistic budget you can prepare appropriately for the holidays, by setting aside enough money. I do not encourage anyone to put their holidays on a credit card, unless you can pay it back in full when the bill comes, because otherwise you are not really going to have a stress free holiday when January rolls around. In addition to preparing the list of items you plan to buy or make yourself, also make sure you brainstorm some additional gifts you can suggest to others, if they ask, for your children, spouse, or even yourself. I'm not talking about trying to be greedy here, but instead about giving people good suggestions if they ask for them. 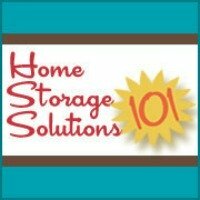 Make sure you know your kids' current clothing and shoe sizes in case you are asked, and identify any real needs or desires they might have for clothing, toys, books, games, etc. Many relatives appreciate these suggestions, and it can help you make sure you get things that will really work well for your family, fit, and be in line with your family's values. Not having to return a bunch of duplicate gifts or wrong sizes after the holidays is over is another way to have a stress free holiday season. Plus, I know I said we would focus on Thanksgiving preparations after Halloween, but since this year Thanksgiving falls a bit earlier than normal, we'll do just a little Thanksgiving preparation next week as well!